Obama allows ISIS training camps in U.S.!! The fraud in the White House not only allows ISIS training camps on U.S. soil but he ENCOURAGES it. This is why he brings Muslims, by the millions, into the U.S. as "refugees." Interesting sidelight; he turns his back on legitimate refugees who are under severe persecution because of their Christian faith, but throws the doors wide open for those who specifically follow Islam, a "religion" that causes chaos and slaughter worldwide. The explanation of why those following Islam are waltzed right in, while slamming the door on Christians? Because, he feebly explains, "We cannot offer or deny entrance to the U.S. to anyone based on religion" How's that again? There is ISIS training camps scattered throughout the United States, These training camps and compounds are so secretly tight that....now get this...no American Citizen, including law enforcement or military are "permitted" to approach or enter. These are considered, "No Enter Zone" areas, exactly as they have managed to establish in Europe where they have taken over sections of cities where they are a law unto themselves. Those sections of the city taken over by Islam, operate under, Shari'a Law, with the goal of instituting that perverted law throughout the country they occupy. It is not safe for any non-Muslim to enter that section of town. These training camps, thanks to the cooperation of Obama have been the utopia for terrorist training with the goal of killing everyone in the United States who is not Muslim. There is one in Portland, 2 in San Francisco, 2 in Santa Clara, three in L.A.,2 in San Diego, 2 in Tucson, one in Denver, two in Oklahoma City, one in Arlington, Texas, 3 in the Dallas-Ft. Worth area and three in Houston. Columbia, Missouri has4, Cleveland has 2,Roanoke has one, Charlotte has one, Raleigh has one, Orlando, Tampa and Ft. Lauderdale and Boca Raton have one each, Seattle has 2, Plainfield, Indiana has 2, Boston has one, Maryland has 2, Washington, D.C. has 2, Virginia has 2, and New York State has six training camps meant to destroy this country. This is absolutely nuts! 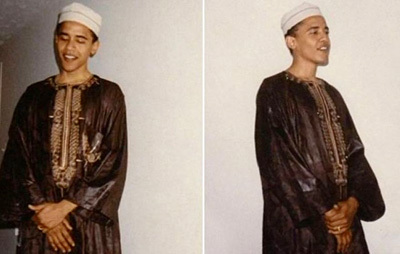 Obama has allowed, indeed, encouraged his fellow Muslims to thrive on our soil, fostering an integrated network in more than half of our United States, according to Bethany Blankley on Freedom Outpost. Islamic leader Fehullah Gulen is, according to Ms. Blankley, using his amassed funds of over $30 BILLION towards creating a worldwide Caliphate. One way to accomplish this objective is through Charter Schools. He has developed the largest charter school network in the U.S.; Gulen Charter Schools. Within the last year, Gulen has created over 150 new schools that have enrolled hundreds of thousands of students to learn Islamist teachings about Caliphate and Shari'a law. And who pays for these schools? The taxpayers, yes, us, we fork over our money, $150 million per year for the Harmony School, which enrolls over 20,000 students, and has a waiting list of 30,000. Some of these public funds are used to recruit and provide visas to faculty from Turkey and other countries. Like most Muslim militants, Gulen seems to be untouchable. He lives on a 28-acre compound fortified with over 100 Turkish guards in the town of Saylorsburg, located in Pennsylvania's Pocono Mountains. This is how Obama spends our tax money to aid in our destruction. At this moment, there are 35 documented Jamaat ul-Fuqra jihadi training camps in 17 states. Now did you hear this? These camps train followers to learn how to use weapons (illegal, unregistered, unlicensed AK 47 rifles, rocket launchers, machine guns and C4 explosives), how to kidnap and kill Americans, and how to conduct sabotage and subversive operations. So where are our Republican lawmakers? Why are American citizens simply watching and doing absolutely nothing to stop this insane suicidal path? Why hasn't someone in D.C. filed charges of Treason against the imposter in the Oval Office and escorted him out?? Obama was born a Muslim and will always be a Muslim. He made that clear in his book, Audacity of Hope: "I will stand with the Muslims if the political wind shifts in an ugly direction. Obama is making certain that his people will conquer and take over America. This is why he is working so feverishly to strip citizens of their guns, so the Muslims, who ARE armed, will find it easy to take over this country. And all of this totally explains the uprising against Presidential Candidate Donald Trump. First of all, the protests against him are by paid stooges who are bused in and paid for causing the disturbances to try and make Trump look bad. The Communists and the Islamists know full well that when Trump does get into office, these savages will soon be no more. He will clean house. He is the only hope we have. America, Please.....PLEASE think! Our sincere thanks go to Bethany Blankley writing for Freedom Outpost for alerting us to this story and supplying these facts along with Marianne Bernard who republished it so more could be made aware of this madness taking place. Photo Caption: Actual photo-not photo-shopped in Obama's younger days.